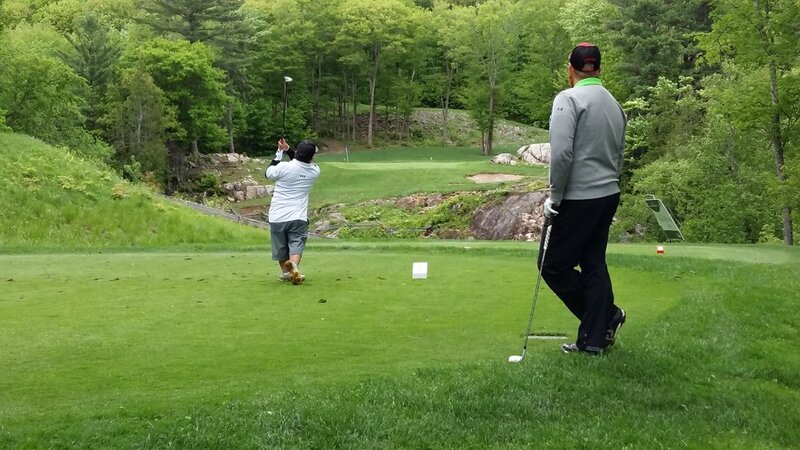 Your participation in Homecoming, the Algoma U Classic Golf Tournament, and the John R. Rhodes Scholarship Dinner helps our students. Funds raised from these events assist Algoma University students by providing financial awards that acknowledge academic excellence and provide much needed economic support. Your support will be realized and appreciated by many deserving students at Algoma University over the coming year. Don’t forget to use #algomalumni at our alumni events to be on trend! Each year, the John Rhodes Scholarship Dinner Planning Committee selects an honorary speaker who embodies the integrity, leadership, vision and commitment to community services that was the hallmark of John R. Rhodes. 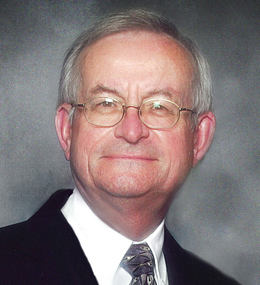 Fremlin E. Hollingsworth had a business philosophy, “Fair business and community involvement”. A philosophy that he passed down to through the generations. The beginning of his successful career started in 1907 as a bookkeeper for Lock City Manufacturing Company. Two years later Fremlin became a shareholder and manager. He later sold these shares to purchase interest in the Corrigan Lumber Company, and in seven years time, became the sole owner of a company later known as Soo Mill & Lumber Company. 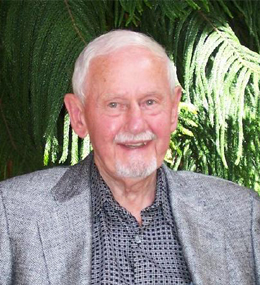 A successful businessman, husband and father, Fremlin was an active member of his community. His expertise was often sought after, and he lead many important initiatives, such as raising funds for the Victory Bonds campaign during the war, running successful campaigns for the hospitals, becoming President of the first Welfare Federation, known today as the United Way. He was also an active service club member, including serving with the Rotary Club for 55 years, and was a founding member of what we know today as the Rotary Community Days. Fremlin retired from Soo Mill & Lumber Co. in 1952, and began a new career as the President of Great Lakes Power Company Ltd., where he served for the next 19 years, along with continuing his community service work. Fremlin’s sons, Simpson, Lynn and Ian – the second generation of Hollingsworths – were raised following Fremlin’s business philosophy legacy. 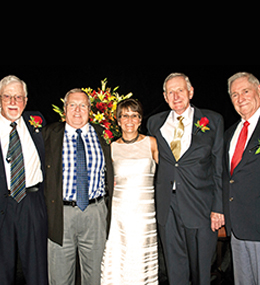 Together, each brother led a specific aspect of the family business: Simpson oversaw the retail operations; Lynn managed the property and building division, and Ian oversaw the mills, including Michigan Maple Block Company. Over the next 40 years, each brother served in the role as President, seeing the businesses grow in size, services, product lines and locations. What began as a lumber supply store grew to become a leader of building products and renovation supply stores, production and property development. Throughout the business’ growth, the second generation of Hollingsworths continued to be actively involved in their community, serving in a variety of roles with numerous organizations, and generously supporting many charitable causes. The beginning of the 1990s made way for the third generation of Hollingsworths to carry on the family tradition. Cousins John and Lynn successively lead the business, expanding their installation services, incorporating technology into the prefabrication plant, and consolidating retail operations into their modernized Great Northern Road Location. For over 100 years, three generations of Hollingsworths have served Sault Ste. Marie and the Algoma district in business, community involvement and philanthropy. Their legacy and commitment to fair business and community involvement continues to live on through their tireless efforts and generosity. Frank S. Sarlo has had a distinguished and diverse professional and personal career. As a young man growing up in Sault Ste. Marie, Frank attended St. Mary’s College and was the valedictorian of the first graduating class from the all-boys high school. He continued his post-secondary studies at the University of Windsor where he received a Bachelor of Arts in Political Science, and a Bachelor of Law from Osgoode Hall in Toronto. Frank was called to the Ontario Bar in 1969 and was later appointed to the Queen’s Counsel by the Province of Ontario in 1985. Frank enjoyed a fulfilling career in law, where he specialized in Corporate and Commercial Law for close to 40 years. He was a partner in such Sault Ste. Marie based law firms, Caputo Sarlo Irwin, Sarlo O’Neill and most recently Wishart Law Firm LLP. Outside of his busy legal practice, Frank took a leadership role in many important successful initiatives that required bringing together community members and resources to meet specific challenges or goals. Among, numerous other community groups, Frank served as Chair of the Community Action Team, which was formed to support the restructuring of Algoma Steel Corporation, Chair of the Sault Ste. Marie Economic Development Corporation, as well as Chair of Sault Ste. Marie’s major Homecoming Festival in 1998. In recognition of his tireless efforts, Frank was honoured with numerous awards, including the Harry Hamilton Award for Community Service from the Algoma District Law Association, the Paul Dalseg Community Achievement Award from the Sault Ste. 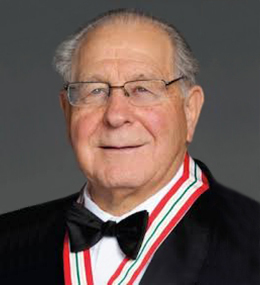 Marie Chamber of Commerce and in 1992, Frank received from the Governor General of Canada, the Commemorative Medal for 125th Anniversary of the Confederation of Canada in recognition of significant contributions to compatriot community and to Canada. Jack Purvis has spent his entire life around the lure of the water. Born to a commercial fisherman, Jack and his family grew up living on Gore Bay, except during the summer months when his family resided at their fishing station at Quebec Harbour on Michipicoten Island. Growing up around his father’s fish tugs, Jack developed a passion for steam engines and the marine environment, and it came as no surprise that one day he would make it his career. Jack earned his Bachelor of Science degree from the University of Western Ontario, and began his career teaching chemistry and physics at the newly opened Bawating Collegiate and Vocational School in 1962. In 1967, Jack purchased his first tugboat, ROCKET, and used it primarily for diving and salvage expeditions with family and friends. Five years later Jack retired from teaching to devote his attention to the full time hobby of tug boating, and the birth of Purvis Marine. The next two years saw the company making its first over lake tow, when Purvis Marine was contracted to tow the automobile ferry St. Joseph Islander to Kingston, ON, followed by the first large dredging contract, with the dredging of the Pine Street Marina. With each passing year the fleet grew. From 1984 to present Jack has purchased tugboats, workboats, barges and freighters: including the firefighting tug AVENGER IV, deep sea salvage tug ANGLIAN LADY, crane barge PML SALVAGER, crane vessel YANKCANUCK, PML IRONMASTER barge, to name a few. The largest expansion in the company’s history came in 1994 when Purvis Marine acquired all of the marine assets from A.B. McLean & Sons Ltd.
Jack purchased the Government Wharf from the Department of Transport which continues to serve as the company’s headquarters. He purchased properties and buildings on the waterfront which are now home to local businesses and organizations, including the Canadian Bushplane Heritage Museum. In 2005 a 13 acre parcel of land was purchased and the Sault Multimodal Terminal Inc. was constructed on the site. Jack Purvis has received many awards and accolades for his accomplishments including; the Chamber of Commerce “Outstanding Business Achievement Award”, Marine Man of the Year, the Sault Ste. 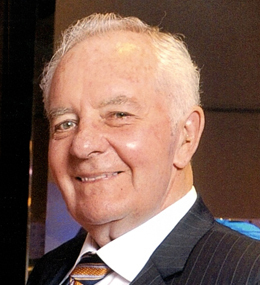 Mare Medal of Merit, the Paul Dalseg Community Achievement Award, the Skipper Manzzutti Award for Business Achievement, and in 2015 Jack was inducted into the Great Lake Marine Hall of Fame. A fitting tribute to a man who brought a dream to a very successful reality. Dr. David Walde, a well-known and respected physician, was the founder of the Oncology Program at the Sault Area Hospital, and is considered to be a pioneer of community-based cancer care. He began his Canadian career as a Chief Resident at the Princess Margaret Hospital in Toronto in the early 1970s and was conducting fly-in clinics in Sault Ste. Marie when he was convinced to move here to establish a permanent cancer program, long before oncology was even a recognized field of medicine. Dr. Walde was an Oncologist at the Algoma Regional Cancer Program serving a population of 120,000 across the Algoma District. Often working 16-hour days, Dr. Walde provided exceptional care, expertise, and unfailing compassion to his patients and their families. He worked closely with his patients, becoming part of their diagnoses, their treatments, and ultimately, their lives. During his career, Dr. Walde served in many capacities including: Director of the Oncology Program; Chair of the Oncology Advisory Committee; Chief of Medicine for the Plummer Memorial Hospital; and President of the Medical Staff. He served on the General Hospital Board of Directors, the Nurse Practitioner Clinic, as well as the Ethics, Research and the CAT Scan Steering committees. He founded the Cell Separator Unit and established a local research infrastructure. He was a very active clinical researcher on numerous disease sites and new drug development committees of the National Cancer Institute of Canada. Partnerships with pharmaceutical companies and trials allowed accelerated access for patients to cutting edge treatments. He was a pioneer of the “Closer to Home” initiatives. Prior to his retirement in October 2014, he was a member of the College of Physicians and Surgeons of Ontario; the Royal College of Physicians and Surgeons of Canada; Algoma West Academy of Medicine; the Ontario Medical Association; the Canadian Association of Medical Oncologists; and the American Society of Clinical Oncology. Dr. Walde has dedicated countless hours to community fundraising campaigns, including Algoma University’s Essential Elements Campaign, C.A.T. Scan Campaign, and the Sault Area Hospital Foundation, where he Co-Chaired a record breaking $29 million capital campaign. In recognition of his fundraising efforts, and his unwavering support and compassionate care for his patients and their families, the hospital’s gala committee funded the naming of the new SAH’s radiotherapy centre in his honour. His life’s commitment has been widely recognized with many prestigious accolades: the Commemorative 125th Confederation Medal; the Group Health Centre’s John Barker Award; the Sault Ste. Marie Walk of Fame; the Paul Dalseg Community Achievement Award; the Dr. William Hutchinson Award; the City of Sault Ste. Marie Medal of Merit Award twice; the Rotary International Paul Harris Fellowship; the Queen’s Golden and Diamond Jubilee medals, and the Order of Ontario. On the occasion of Algoma University’s 50th Anniversary it is only fitting to honour a man who has given so much to serve others. Algoma University is pleased to establish the “Dr. David Walde Humanitarian Scholarship”. This scholarship will be awarded to a first year student from Sault Ste. Marie, choosing to embark on a career of service to help others. of Algoma’s Water Tower Inn & Suites. to Information Technology and the Community. Stephen Lewis; and the Sault Area Hospital Foundation. Her tireless efforts and commitment have earned her well-deserved recognition. Donna has been personally awarded the Algoma University Senate Award (2014); Leading Women Building Communities Award from the Province of Ontario (2013); the coveted Queen Elizabeth II Diamond Jubilee Medal (2012); Chamber of Commerce ATHENA Award (2012); Sault Ste. Marie Business & Professional Women’s Award (2012); and the Northern Ontario Business, Influential Woman of the Year Award (2008). Donna’s spirit and enthusiasm are infectious. No idea is too big or too small. 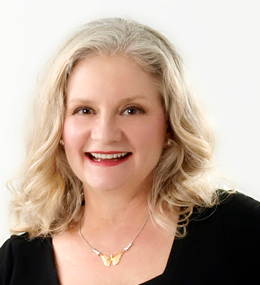 If it’s worth doing, you can be sure that Donna Hilsinger is involved, encouraging, supporting and moving it forward. For the past 28 years this group of friends have been enjoying the pleasure of each other’s company over lunch every Wednesday and Saturday. Jo-Anne Brooks, (the late) Ted Brooks, Damon Godfrey, Jim McAuley, Don Mitchell, Wayne Prouse and (the late) John Rowswell, affectionately dubbed as “The Cronies,” can regularly be found at the round table every week (in body and in spirit) exchanging ideas and discussing ways to help our community grow and prosper. Not content to sit idly by and just talk about how things should be, this passionate group has rolled up their sleeves and become actively involved in various projects to make our community a better place to live, work and play. And because working hard to make things happen isn’t enough for this group, they have made a point of encouraging and inspiring others to get involved too. Originally beginning in 1985, the group started meeting to exchange business information and ideas, but after the down turn in employment at Algoma Steel in 1992 discussions became how to revitalize the Soo and help the community to regrow. The group became involved in initiatives to help our post-secondary institutions, our healthcare providers, and business community. They have also assisted various social and cultural initiatives both financially and through volunteerism, and have supported various political campaigns throughout the last 20 years, with the idea that they would support the person/party who would best help regrow our tremendous city. “The Cronies” are all very good friends. They openly share and discuss ideas. Each has the success of the City of Sault Ste. Marie as their ultimate goal and they love and support anything that benefits this city. One of their strongest bonds is that they all have a good sense of humour and are not afraid to poke fun at one another, which happens on a regular basis. Their friendship, support and charity for our community, along with their fearless approach to addressing issues, finding ways to move things forward, and pitching in to help whenever help is required is the hallmark of this unique and diverse group. This is a group that has bonded together over the last 28 years…at a table…sharing lunch…sharing ideas…and is affectionately known as “The Cronies”. The Hon. Ray Stortini has always maintained his connection with his working class background and continues to advocate for those in need. Having spent his early years as a labourer in the steel plant, a great lakes seaman and an insurance adjuster, Ray initially wanted to be a teacher. He attended the University of Western Ontario as an adult special student. Deciding to change career paths, he applied to Osgoode in 1956. After graduating he practiced law, became a Special Federal Prosecutor and later was the first Area Director of Legal Aid. Ray was appointed a Judge of York County (Toronto) in 1971, appointed to the Algoma District Court in 1976 and in 1990 was appointed as the Justice of the Superior Court of Justice, a post held until his retirement in 2004. The Hon. Ray Stortini is well known for having initiated the Community Service Order program, an alternative to jail requiring non violent offenders to work for charitable institutions in the community. Beginning in Toronto in 1975, the program spread across the country and as far as Australia. Caseloads of probations officers were reduced and millions of hours of work were performed benefiting communities. Never one to sit idle, Ray continues to help others through his volunteer work. He is a member of the St. Joseph Island Lions Club, Ken Brown Recovery Home, Sault Family YMCA and Soup Kitchen. He previously served as President of the Sault Theatre Workshop, Founding Chair of the Folk Arts Association, member of Sault Ste Marie City Council for two terms and recently completed a six year term with the Algoma University Board of Governors and Senate. An accomplished author, Ray has published a collection of short stories entitled, “Only in Canada”, Memories of an Italian Canadian. The book sales proceeds benefit the Soup Kitchen Community Centre. Having grown up in the west end, Ray is actively engaged with a local group of volunteers seeking to revitalize the James Town area. The Hon. Ray Stortini was recently recognized for his contributions to society by receiving the Order of Ontario, the highest provincial honour bestowed on an individual. This award recognizes the greatest minds, forward-thinkers, humanitarians, activists and pioneers in our province – qualities that are exemplified by The Hon. Ray Stortini. Married on June 5, 1954, Dr. Lou and Mae Lukenda have created an amazing partnership that has spanned more than 57 years. Mae’s life has been centered around her family, church and community. As a proud wife and mother of seven, she is the glue that holds the family together and symbolizes its values. Mae has been active in the twin Saults in many community organizations and projects. She served on the Board of Directors for the Sault Ste. Marie Area Community Foundation in Sault Michigan. With her high energy and strong sense of commitment to Lou and the children, she supported Lou in working diligently in his profession and following his numerous other interests, especially in education and health care. Retiring as a dentist after 38 years, Lou remains a member of several dental associations and his dedication to health care continues today. His commitment to education is impressive. He has held several appointments including the Order in Council to the Council of Regents Colleges of Ontario (1978-1982), Chair of the Sault Ste. Marie Board of Education (1969-1974) and he was a founding member of the Algoma College Task Force (1959-60). Lou has received many awards and citations over the years which include: Golden Jubilee Medal of Canada (2002); Medal of Merit Sault Ste. Marie, Ontario (2004); Honorary Senate Award – Algoma University College (2006); Honorary Doctorate Degree in Humane Letters from Lake Superior State University (2007) and the Rotary International Top Award, the Paul Harris Fellow (2008). Lou’s love of sports has been a large part of his life. In his undergraduate years he played basketball and football and in 1993 he was inducted into the Sault Ste. Marie Basketball Hall of Fame. More recently, in March of this year, he co-chaired the OCAA Men’s Basketball Championships, held locally for the first time. Lou has been involved with the Soo Greyhounds for the past 15 years, serving as President for the past seven years. Both Lou and Mae are well-known community leaders and philanthropists supporting various causes, especially in education and health care. Recently, they have established the Dr. Lou and Mae Lukenda Charitable Foundation which will continue in the future under the direction of their children. With their generous support and donation, the Algoma University Foundation has established the Dr. Lou and Mae Lukenda Charitable Foundation Award, intended to support student athletes who may need assistance to complete their degree studies. 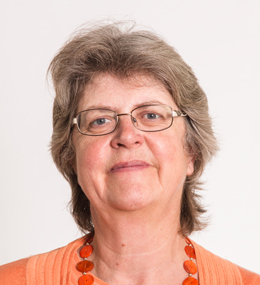 Dr. Ross began her career at Algoma University College in the spring of 1982 when she accepted a position with the French Department to teach French Literature. Previously, Dr. Celia Ross studied Modern Languages at Queen’s University, then went on to earn her Master’s Degree at l’Université de Poitiers and her PhD at l’Université de Bordeaux III in France. Over the years, she says she has come to love Sault Ste. Marie and its surroundings and has happily settled here with her family. Of the many accomplishments Dr. Ross can point to over her time as President, one that stands out is the signing of the Covenant between Algoma U and the Shingwauk Education Trust in 2006. This formally confirmed their partnership as a core mandate and helps define the university’s future direction. When Algoma University became an autonomous institution in 2008, its charter contained the special mission of continuing to provide education for Anishinaabe peoples. Algoma University is heading into another period of intense growth and development, building on the successes of the last few years and looking ahead to new opportunities. Thanks to the inspired leadership of Dr. Ross, and the support of many friends and partners, Algoma University will continue on its path with innovation and ambition. Bud Wildman’s retirement, from an impressive 24 year career in provincial politics, has been anything but quiet. 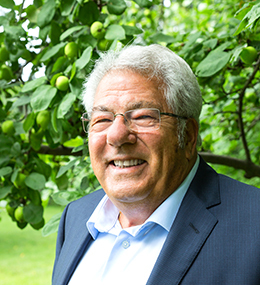 Through his firm, Wildman Consulting, Bud, a longstanding advocate of Canada’s Aboriginal People, assists provincial and federal governments and private sector companies in working with First Nations on governance, economic development and resource management issues. 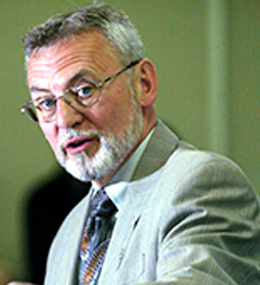 In 2000, Bud accepted a new challenge and became Chair of the Board of Governors of Algoma University College. Since then, working tirelessly with Dr. Celia Ross, President, and a large number of committed and enthusiastic volunteers, Bud has led the efforts to nurture and strengthen the university’s growth. Algoma University now has more students and professors, from more countries, than ever before.The campus is growing and the institution has enjoyed almost a decade of unparalleled financial stability. Bud was present in Toronto when Algoma U’s independence legislation was introduced in the Ontario parliament. The legislation was passed with the consent of all three political parties in record time. Bud and Celia had the great pleasure of symbolically striking the word ‘college’ from the institution’s sign on Queen Street. This is a major contribution to the future of Sault Ste. Marie and Northern Ontario. Another of Bud’s accomplishments as a chair was the signing of the Covenant between Algoma U and the Shingwauk Education Trust (SET). On behalf of the Board, Bud endorsed this agreement to establish a true partnership between Algoma University and Shingwauk Kinoomaage Gamig (Shingwauk University). The Covenant requires the two educational centres to work co-operatively to develop and expand post-secondary educational opportunities for both Anishinaabe and non-Native students. Bud’s effective leadership, and his personal commitment to Algoma University and the future of Sault Ste. Marie have been the key contributions to the advancement of Algoma U from affiliate college of Laurentian University to its current status as Ontario’s newest university. With the support of his wife Anne (an Algoma U alumni) and his children, Bud has left his mark on Algoma University and has set a gold standard for future Board Chairs. Algoma University and its future are more secure because of it. 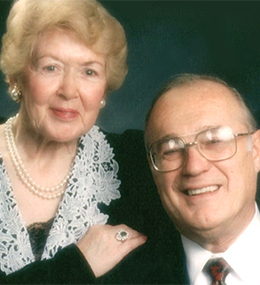 To honour Bud and his wife Anne, and to recognize their lifetime contributions to education, the Algoma University Foundation has established The Bud and Anne Wildman Scholarship. This endowed fund will provide a scholarship to a high-achieving Anishinaabe student in his or her final year of studies at Algoma U. Donations to this endowed fund will support this scholarship in perpetuity, appropriately acknowledging the permanent impact of Bud’s contribution to the launch of Algoma University. Cathy and George Shunock passionately believe in Sault Ste. Marie. Their generosity to our community has been recognized both locally and provincially. 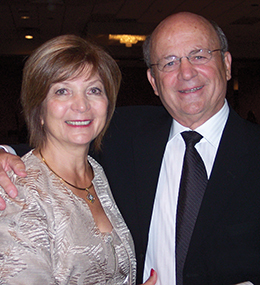 Cathy and George have been active supporters, individually and together, of hockey, theatre, education, children’s services, adult social services, and business organizations. Both are recipients of the Sault Ste. Marie Medal of Merit for outstanding contributions to Sault Ste. Marie. attitude. For the past forty years, Cathy and George have been devoted to the community and determined to make Sault Ste. Marie a better place to work, live and play. Paul Dalseg’s pride in his family is evident as he describes meeting his wife Eleanor in 1951 in Dryden. A nurse, she was working for the Red Cross and he was a young World War II vet, learning the ropes of the retail industry. It was a natural career choice for him, as his father owned a general store in Rainy River District, on Lake-of-the-Woods. The store was on a barge, and traveled from community to community on the lake. Many years later, Paul honoured his parents’ relationships with the Aboriginal communities around the lake by establishing the Paul and Bricken Dalseg Pioneers of Lake-of-the-Woods Student Award through the Algoma U Foundation. This is a special bursary fund that will eventually provide a financial award equivalent to the cost of tuition, for a first-year student from the area where Paul was raised. Although he did not have the opportunity to attend university, Paul believes strongly in the value of a university education, and he has had the pleasure of watching his children and his grandchildren take advantages of the educational opportunities he himself did not have. Paul and Eleanor eventually moved to Port Credit and then to Sault Ste. Marie, purchasing the city’s Canadian Tire store and moving it to Great Northern Road in 1974. Paul could see that the Soo would expand northward, and was planning for the future. Paul retired in 1992, and he speaks warmly of his career with Canadian Tire, and of his former employees and colleagues. Paul has been called the ‘stuff of legend’; for his war-time experiences, his untiring commitment to his community, and his love for his family and friends. World-traveler, wine connoisseur, entrepreneur, philanthropist and city-builder, father, grandfather, role model and gentleman, Paul Dalseg has earned the respect and admiration of the Sault Ste. Marie community. The Algoma U Foundation Dinner Committee is proud to honour Paul Dalseg at the 2006 John R. Rhodes Scholarship Dinner. Our homecoming celebration features events at our ever-growing campus as well as throughout Sault Ste. Marie. The events are open to any alumni from Algoma University and also current students, staff and faculty, family and friends, as well as the general public. Check out what we did at homecoming this year! Join us to a kick-off our Homecoming weekend! Whether you grab a bite to eat from one of our various food vendors, play a game, grab a drink, or listen to some live music, we have something for everyone! Anishinaabe Initiatives would like to invite all Anishinaabe (First Nation, Metis and Inuit) Algoma University/Shingwauk Kinoomaage Gamig alumni for a networking evening. The Alumni social is an opportunity to network, socialize and meet up with other alumni. There will be appetizers. All are welcome! Back by popular demand, the Algoma University Alumni Hockey Game. We have players coming from near and far, and some were even coached by George Leach himself in the 70s and 80s! Come out and support your favourite players, as they lace up for Algoma U. The Alumni Council and the International Services Division will be bringing you an exciting cultural explosion of South Asian music, cuisine and performing arts. Our students from South Asia will be in traditional attire, showing off their proud culture and sharing a variety of their national foods. Don’t miss this event as“ it is sure to fill your stomach with delicious treats! Doors open at 5:30 and dinner starts at 6:00 pm. Calling all musicians! Algoma University Alumni Council will be hosting the seventh annual Acoustic Open Mic Night with great cash prizes! The third-place finisher will be awarded $200, the second place runner-up will win $300, and the grand first-place prize winner will receive $500. All performances must be done in an acoustic arrangement and performers will be a given a 10-minute performance slot. Performance slots are awarded on a first come first serve basis, so come early, they always fill up fast! Come and showcase your talent or sit back, relax, and enjoy the show. Come out and cheer on the Algoma U Thunderbirds varsity soccer teams as they take on the Wilfrid Laurier Golden Hawks. Both our men’s and women’s teams will be pumped up to play in this year’s Homecoming games! Bus transportation will be provided to and from the games, so hop on the bus and come cheer on our Algoma U Thunderbirds! Be sure to join us for the main event of our annual Homecoming celebration, the Alumni Basketball Game! The Bud Light Birds Nest will be open for those who wish to enjoy a snack or beverage during the game. Bring your Algoma U spirit and cheer our teams on! 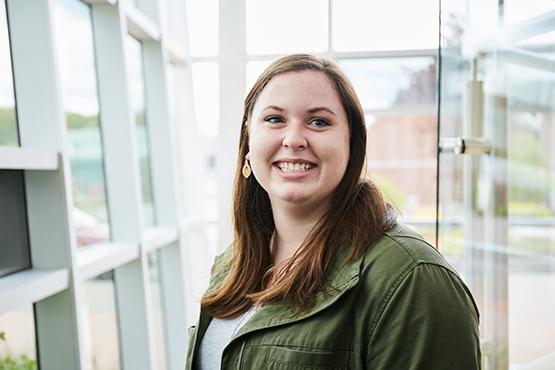 Below you will find the many ways you can stay connected with the Algoma U community. The accomplishments and achievements of Algoma University’s alumni are recognized through annual awards. 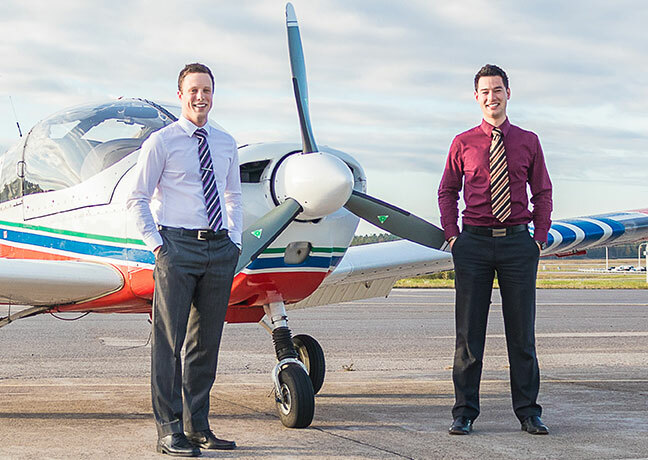 The Algoma University Café is a networking and mentorship platform that connects students, alumni and business professionals based on their role, career goals, and professional interests.